TICKETS ARE GOING FAST & THIS EVENT WILL SELL OUT. Sonoma Concierge www.sonomaconcierge.com is the Event Coordinator & Sponsor. 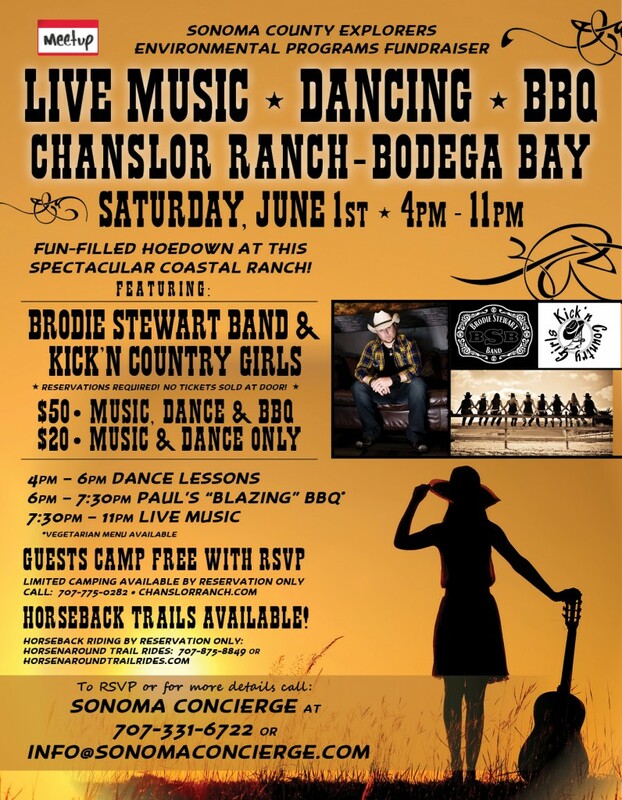 Live Country Music by one of the hottest bands in Sonoma County, The Brodie Stewart Band! Paul will be blazing with his lip-smacking BBQ. Free Camping!